A strong and trusting relationship with the right pharmacy can help make your healthcare decisions proactive and stress-free. 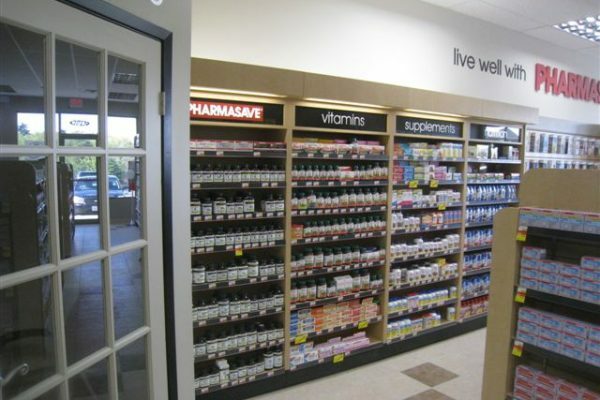 There are many different pharmacies in Kitchener for residents to choose from. If you are looking for professional advice on pharmacy products near you, is there really any difference between the various Kitchener pharmacies? As a highly-trained, skilled and licensed pharmacist, Gurinder S. Brar, can be considered a trusted resource for you to use to get help with weight loss advice as well as other health care issues. At Fairway Lackner Pharmacy, we are one of the few pharmacies in the area that offer medicine compounding services to create the customized medications, which are created by our specially trained pharmacists to ensure accuracy and consistency. 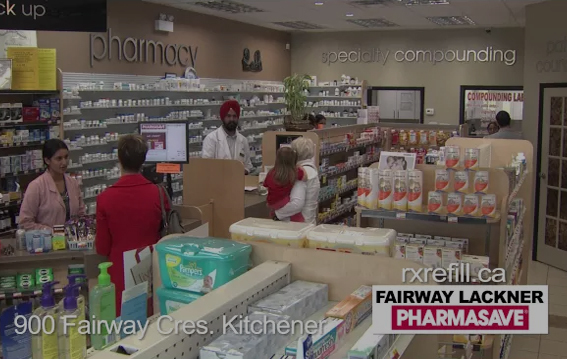 Receiving a flu shot in Kitchener is very easy when you stop by Fairway Lackner Pharmacy. We are happy to offer this service during normal business hours once the flu shot season starts. There are various medications that are not readily available on the market for certain reasons. The medication may not be offered in a specific dosage or format, like a liquid. For these times, we can help you by compounding the medications you require. We can work with your dentist using our specialty compounding services to create the dentistry medications you require, such as lollipops, freezer pops, lozenges, mouth rinses and more. Each dentistry medication is compounded locally, here in Kitchener. Pain management often requires medications to help treat chronic pain and discomfort. Oftentimes, these medications have to be tailored to the exact needs of the patient. Fairway Lackner Pharmacy can work with your healthcare provider to ensure you get the right dosages and delivery formats. Do you sometimes forget to take your medication? Are you unsure about what your medication is for? Do you ever run out of medication before you get a chance to get your prescriptions refilled? Do you have trouble swallowing tablets? Do you find it hard to open your medication container? Do you find taking your medication inconvenient? Are you unsure about the side effects of your medication and what to do if any occur? If you answered “yes” to at least one of the questions: You may be at risk of medication problems. Speak with Fairway Lackner Pharmasave pharmacist about the questions that you answered “YES” to. He or she can help identify any other problems that may exist, and suggest ways to deal with them. However, make sure you mention any questions you may have or symptoms that worry you to your pharmacist. Our pharmacist can provide more information and help you deal with any problems that may come up in the future. What can I take for chronic pain that is considered safe and effective? Non–steroidal anti–inflammatory drugs (NSAIDs) are great for inflammatory type pain. Taking them as directed during painful flare–ups is the key to maximizing their effectiveness. If you need them, the key to safe use is to take the lowest possible effective dose for the shortest period to avoid related health risks you have heard about (i.e. GI bleeding, cardiovascular risk, elevated blood pressure). Even over–the–counter pain medications, such as ibuprofen or ASA, are usually recommended for no longer than 7–10 days and should not be used by those prone to ulcers . Acetaminophen should be considered by those unable to take NSAIDs. Chronic use of acetaminophen is tough on the liver and should be discussed with your physician. Other options include topical ointments and gels, and drug–free choices, such as massage, physiotherapy, and heat and cold application. As a compounding pharmacy,we make pain gels and creams. Please call our pharmacy to learn more. Generic drugs are identical to or the “bioequivalent” of a brand-name drug in dosage form, safety, strength, quality, how it is taken, performance and intended use. What is the safe and effective options for the Chronic pain ? Your heart is a muscle that gets energy from blood carrying oxygen and nutrients. Having a constant supply of blood keeps your heart working properly. Most people think of heart disease as one condition. But in fact, heart disease is a group of conditions affecting the structure and functions of the heart and has many root causes. Coronary artery disease, for example, develops when a combination of fatty materials, calcium and scar tissue (called plaque) builds up in the arteries that supply blood to your heart (coronary arteries). The plaque buildup narrows the arteries and prevents the heart from getting enough blood. For more information visit Fairway Lackner Pharmasave. A stroke is a sudden loss of brain function. It is caused by the interruption blood flow to the brain (ischemic stroke) or the rupture of blood vessels in the brain (hemorrhagic stroke). The interruption of blood flow or the rupture of blood vessels causes brain cells (neurons) in the affected area to die. The effects of a stroke depend on where the brain was injured, as well as how much damage occurred. A stroke can impact any number of areas including your ability to move, see, remember, speak, reason and read and write. In some cases, stroke-like damage to the brain can occur when the heart stops (cardiac arrest). The longer the brain goes without oxygen and nutrients supplied by blood flow, the greater the risk of permanent brain damage. Brain injuries can also result in uncontrolled bleeding and permanent brain damage. For more information visit Fairway Lackner Pharmasave. Why is a healthy blood pressure so important? Diabetes means that your blood glucose level(sugar) is too high. Your blood always has some glucose in it because the body needs glucose for energy; it’s the fuel that keeps us going. However, too much glucose in the blood is not good for your health. Your body changes most of the food you eat into glucose. Your blood takes the glucose to the cells throughout your body. The glucose needs insulin to get into the body’s cells. Insulin is a hormone made in the pancreas. The pancreas releases insulin into the blood. Insulin helps the glucose from food get into body cells. If your body does not make enough insulin or the insulin does not work properly, the glucose can’t get into the cells, so it stays in the blood. This makes your blood glucose level high, causing you to have diabetes. If not controlled, diabetes may lead to blindness, heart disease, stroke, kidney failure, amputations (having a toe or foot removed, for example), and nerve damage. In women, diabetes can cause problems during pregnancy. For more information, please visit Fairway Lackner Pharmasave. © 2019 Fairway Lackner Pharmacy. All rights reserved.